Scientists (in orange flight suits) hike toward one of HVO’s monitoring stations within Kīlauea caldera. 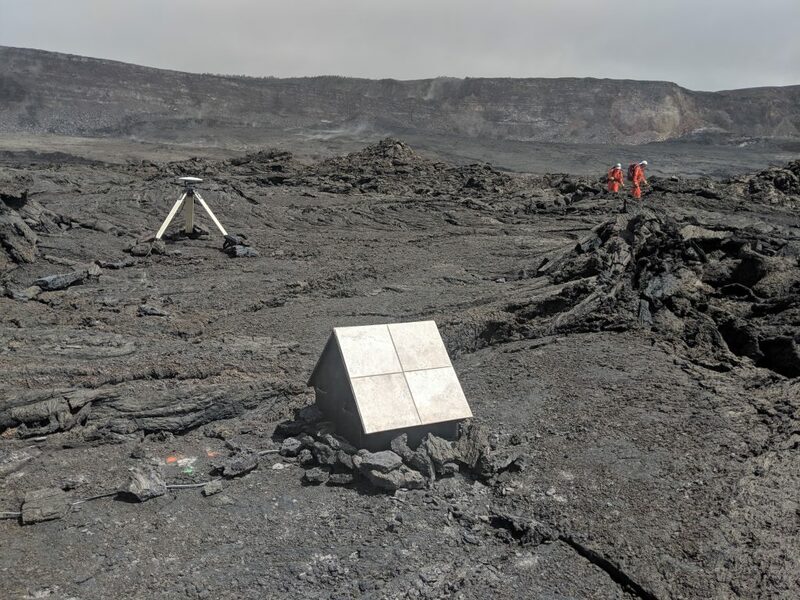 The tripod supports a GPS antenna that provides information on deformation of the volcano. The doghouse-like structure (foreground) houses a gravimeter, which measures changes in subsurface mass over time. 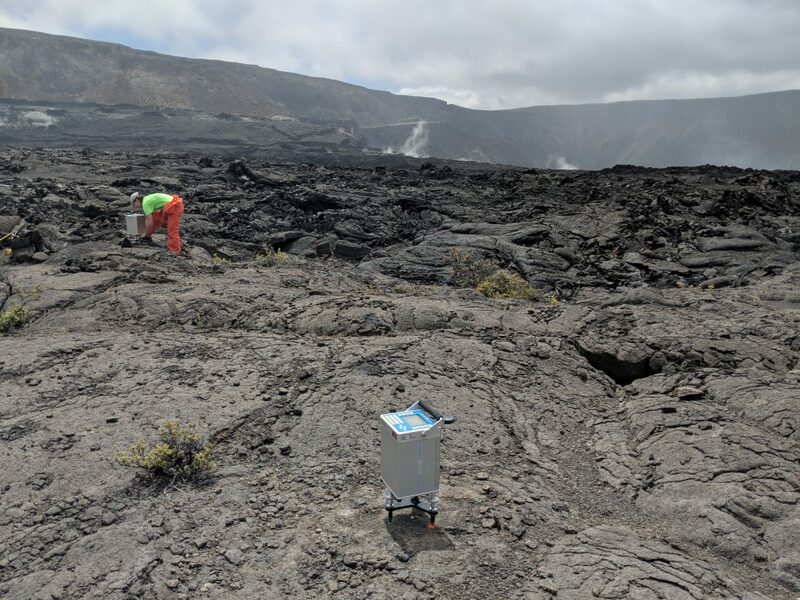 Together, these two instruments keep continuous watch on changes in surface deformation and the gravity field, both of which are useful indicators of future magmatic activity at Kīlauea. 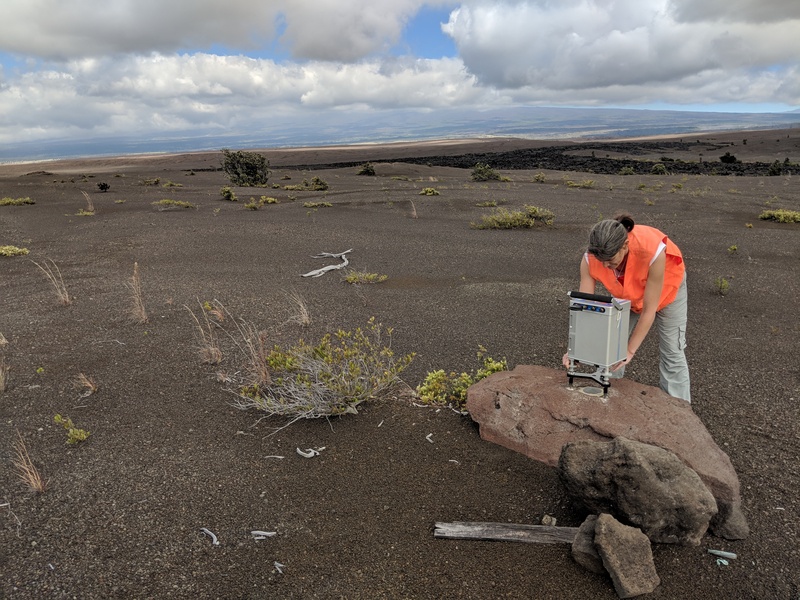 A scientist takes a gravity reading at a station located on the down-dropped block of Kīlauea caldera, which subsided as an intact structure, while a second gravity instrument (foreground) records data. Remeasuring the stations now and comparing the data to previous results could provide information on what’s happening below ground within the volcano’s shallow magmatic system. Click to enlarge. PC: USGS photo by M. Poland, 03/25/2019. 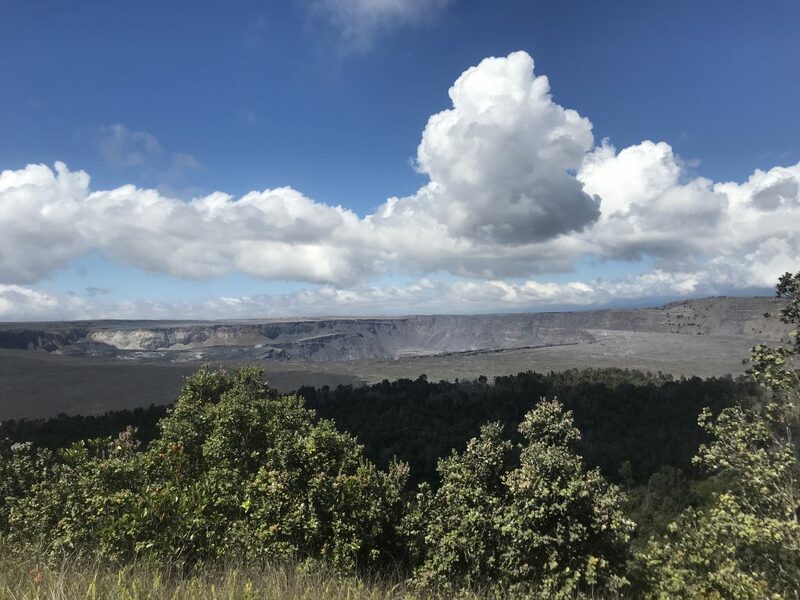 Many of the preexisting gravity stations, which have been measured for years, survived Kīlauea’s 2018 summit collapse. 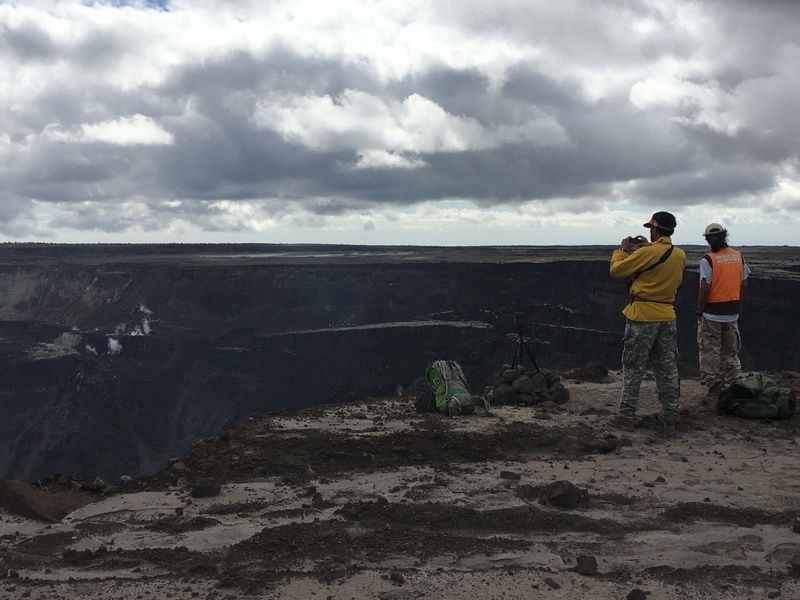 A closer view of a gravity reading at a station located in the south part of Kīlauea caldera. 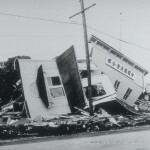 When repeated over time, gravity measurements can detect changes in subsurface mass that might not be detectable by other monitoring methods. Scientists track this data because the changes could be related to magma movement within the volcano. Click to enlarge. PC: USGS photo by M. Poland, 03/20/2019. 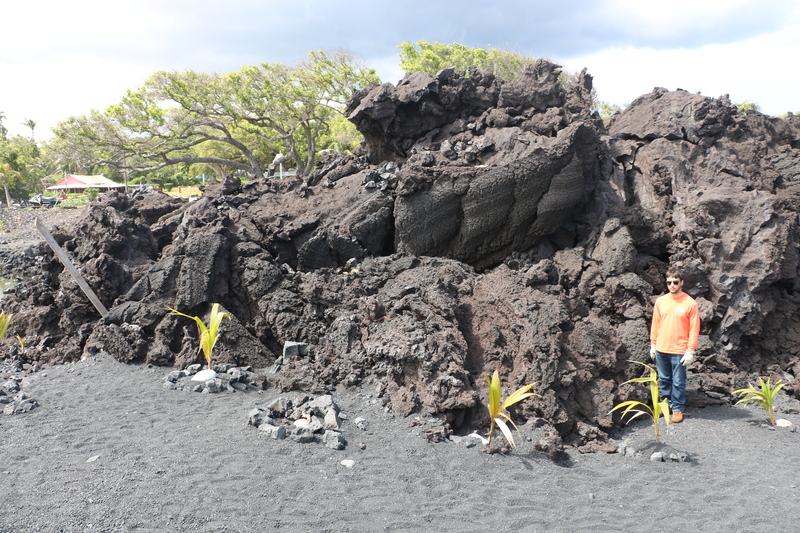 HVO geologists (one shown here for scale) examined Kīlauea Volcano’s 2018 lava flow near Isaac Hale Beach Park on March 29. This part of the lower East Rift Zone Fissure 8 flow is mostly “toothpaste lava”—an informal name for secondary spiny pāhoehoe lava that oozed out from the stalled primary ‘a‘ā flow that reached the coast. 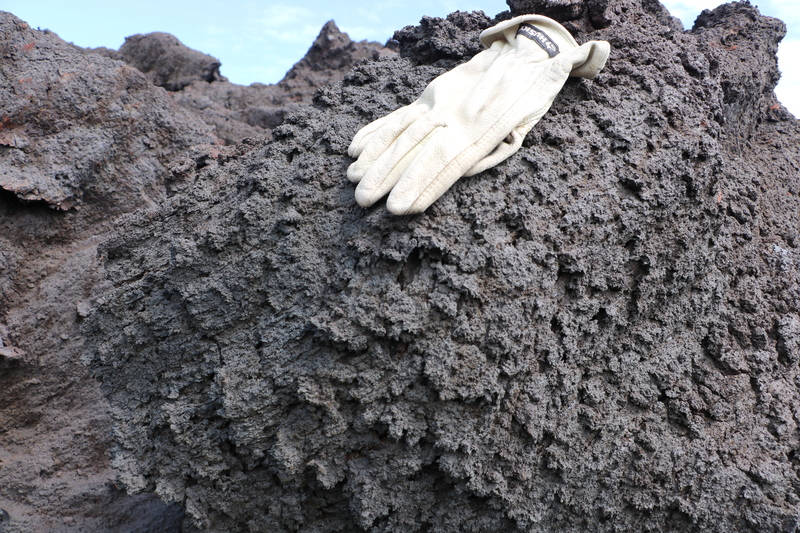 This lobe, classic toothpaste lava, is about 3-4 m (9–13 ft) thick and about 70 m (76–77 yds) long. Click to enlarge. PC: USGS photo by M. Patrick. A closer view of the “toothpaste lava” (glove for scale) spiny texture, which can result in serious injury if people fall while attempting to walk on it. Toothpaste lava. Click to enlarge. PC: USGS photo by M. Patrick. Because folks have already been hurt, the county advises people to avoid this hazard by staying off the lava flow. As of last week, Kīlauea Volcano is at NORMAL/GREEN. For definitions of USGS Volcano Alert Levels and Aviation Color Codes. 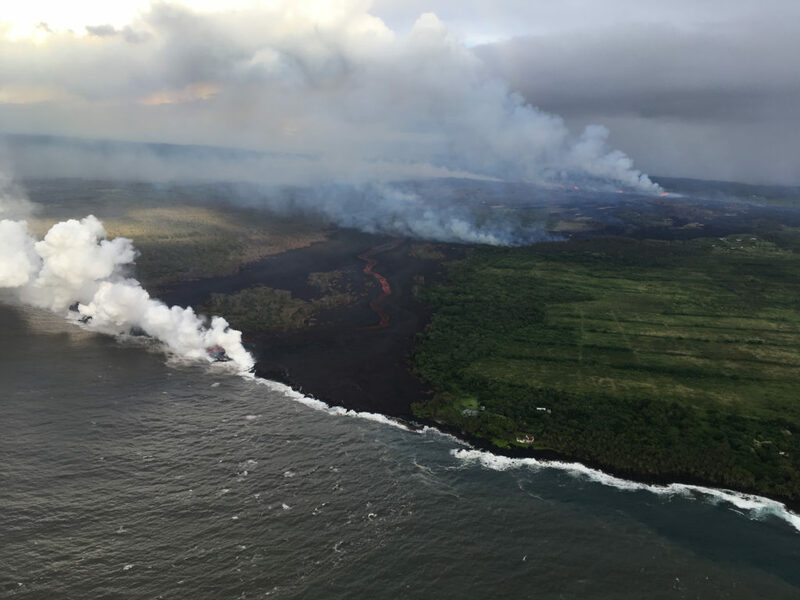 Hazards remain in the lower East Rift Zone eruption area and at the Kīlauea summit. 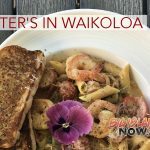 Residents and visitors near the 2018 fissures, lava flows, and summit collapse area should heed Hawai‘i County Civil Defense and National Park warnings. Hawai‘i County Civil Defense advises that lava flows and features created by the 2018 eruption are primarily on private property and persons are asked to be respectful and not enter or park on private property.